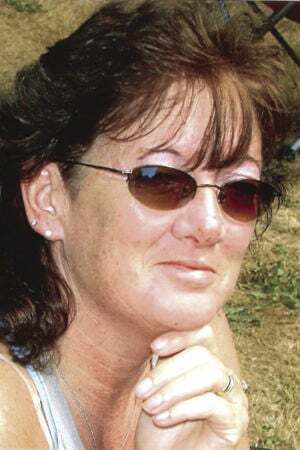 Sandra Lynn Walker Hamm was born May 26, 1959, to Robert L. and Joy (Rismoen) Walker in Longview. She died March 30, 2019, at Sunnyside Medical Center after a two-week battle with cancer. Sandy attended Kelso schools, graduating in 1977. In 1985, she re-met Roger Hamm after they hadn’t seen each other since high school. They soon became best friends and married on Sept. 16, 1985. It was soon apparent that if people saw one of them, they saw both as they embraced doing everything as a couple. On June 6, 1989, they had a daughter Devin and on May 30, 1991, a son Joshua. Sandy started her career as a pharmacy tech at Medical Arts Apothecary and in 1985 joined a fledgling company called Kaiser Permanente. She was only the second tech hired by Kaiser in this area and stayed with them until she retired in 2015. She was a staunch union member of Local 555 as a steward and served as a contract negotiator in 1990. Besides her dedication to her family and career, Sandy had a true green thumb. Each year, her hanging fuchsia baskets, roses and rhoddies were enviable. By far her biggest endeavor was encouraging and supporting the underdog. This started when she was a young girl, when her mom and dad decided to raise three of her cousins, Janet, Cathy and Jimmy Rismoen. Jimmy was an unruly child and Sandy often said she would be called out of class to help settle him down. This attitude continued with her work on Killer Whales Swim Club, where she insisted the club come up with a scholarship program for families that otherwise couldn’t swim. Since her death, her family has heard countless stories of how at times people credit her with being their only friend and supporter. Sandy is survived by her husband Roger; children Devin and Joshua; grandchildren Brooklyn and Payton; her mother Joy; brothers Donald (Linda), Steve (Jan), Ron (Loretta); foster sisters Cathy (Mike) and Janet (Lynn); and numerous aunts, uncles, nieces and nephews. She was preceded in death by her father Robert and foster brother Jimmy, and grandparents Ole and Ardis Rismoen. Services for Sandy will be 1 p.m., April 27, at the Kelso United Methodist Church, 206 Cowlitz Way in Kelso. In lieu of flowers, please send donations to the Kelso School Foundation, Lori Hamm Scholarship, P.O. Box 344, Kelso.